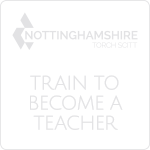 Our document sets out the admission arrangements for Nottingham University Samworth Academy. These arrangements are without prejudice to the provisions of Annex 3 to this agreement. The document forms an Annex to the Funding Agreement between Nottingham University Samworth Academy and the Secretary of State. Any changes to the arrangements set out in this document must be approved in advance by the Secretary of State. The Academy will act in accordance with, and will ensure that the Independent Appeal Panel acts in accordance with, all relevant provisions of the statutory codes of practice (“The School Admissions Code” and “The School Admission and Appeals Code”) as they apply at any given time to maintained schools. Reference in the codes to ‘admission authorities’ shall be deemed to be references to the governing body of the Academy. In particular, the Academy will take part in the Admissions Forum set up by Nottingham City Local Authority (LA) and have regard to its advice; and will participate in the co-ordinated admission arrangements operated by Nottingham City LA. Further information regarding our Admissions Arrangements for 2018-19 are available within the linked PDF. Further information regarding our Admissions Arrangements for 2019-20 are available within the linked PDF. Further information regarding our Admissions Arrangements for 2020-21 are available within the linked PDF. Please follow the link to be taken to the relevant information or download the linked document. Student destination information is provided within the DfE Performance Tables. Please follow the link to be taken to the relevant information. Please see linked document for further information regarding first destination of 2016 year 11 leavers. In Years 7 and 8 pupils follow a varied curriculum, that is prescribed for them and largely the same for all pupils. At the end of Year 8, pupils choose which E-Bacc and Foundation subjects they would like to continue in Key Stage 4. Our school day starts at 8:45 am with a 15-minute Tutor Period and finishes at 3:20 pm. Pupils have a 15 minute break in the morning, and a 50 minute lunch break. In Years 7 to 11, pupils are taught seven 45-minute lessons a day. In some subjects, some lessons are ‘doubles’ that last 1 hour 30 minutes. This allows teachers to plan a range of different activities, including those of a practical nature, and allows greater flexibility and more effective use of our resources. For further details please follow the web link to our Curriculum page. All pupils continue to study English, Maths and Science through Key Stage 4. Pupils take GCSE examinations in English Language and English Literature, and Maths. Science is a little more complicated, with pupils taking either separate GCSEs in Biology, Chemistry and Physics; a double GCSE award. All pupils also continue to have ‘core’ PE lessons every week. Our post-16 students have a weekly personal development lesson, mentoring with their tutor, and extra support if they are still working towards a C grade in either English or Maths. They also have opportunities to work with younger pupils as literacy mentors, gain qualifications in first aid and British Sign Language, and to take on paid responsibilities around the academy. We endeavour to provide all of our post-16 students with work experience linked to their courses. Pupils at NUSA are expected to “work hard” and “be kind”. This short statement goes to the heart of what we are trying to teach children through the curriculum, and through their wider school experiences. At NUSA we endeavour to teach pupils the value of investing in their own future by working hard in every lesson, every day. Pupils are set personalised and challenging academic targets in every subject. These targets allow staff to recognise and celebrate the progress made by hard-working pupils, regardless of their comparative attainment. Targets are set using ‘Fischer Family Trust Aspire’ estimates that consider a pupil’s prior attainment, gender and month of birth. These targets support our aspiration that all NUSA pupils will do at least as well as their peers nationally. Teachers are expected to help pupils work towards these targets by planning and teaching lessons that cater for all pupils, and by marking pupils’ work regularly and providing feedback that helps them to improve. Pupils receive a report every term with grades and scores for attainment, effort and homework. Attainment grades are coded either red, amber or green, depending on whether teachers judge a pupil to be "on track" to meet their target. Personalised targets allow all pupils to strive for a "green" report, regardless of their innate abilities and talents. Working hard enables pupils to fulfill their potential, and hence fosters self-knowledge, self-esteem and self-confidence. It connects pupils with their own personal and academic development, and teaches them that everyone can achieve, if they are prepared to invest their time and effort. It also helps pupils to understand the need to respect the rights of every pupil to learn in a calm, focused and supportive atmosphere. The importance of "being kind" to others is a fundamental human value that all children should be taught. At NUSA it starts in and around the classroom, with school rules that are based upon protecting pupils’ rights to learn. Pupils are encouraged to adhere to a clear set of behaviour expectations, linked to a framework of rewards and sanctions, helping pupils to develop their ability to distinguish between "right" and "wrong". This plays an important part in preparing our pupils for life as young adults in society. On those occasions when pupils’ behaviour transgresses NUSA expectations, an important part of the process in teaching pupils values is that they are taught to accept responsibility for their actions. The NUSA behaviour code highlights the link between negative behaviour and its consequences. Further information can be found by following our web link. We are committed to providing high quality education. This means promoting positive attitudes and behaviour so that students can develop their abilities and interests and achieve their full potential. There is an inextricable link between behaviour and achievement. It is, therefore, essential that we promote good behaviour and challenges unacceptable behaviour. This is a basic expectation that must underpin the daily work of the school. High expectations, shared values, fair and consistent application of rewards and sanctions; combined with effective teaching, active tutoring, and early intervention are key to promoting positive behaviour and raising achievement. Please see linked document to download a copy of our Behaviour Policy. The Directors of Nova Education Trust have taken the decision to adopt the Nottingham City Council Child Safeguarding Policy for all of the trust’s city schools. 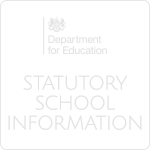 The policy reflects current legislation, accepted best practice and complies with the government guidance: Working Together to Safeguard Children April 2015 and Keeping Children Safe in Education September 2016. Nova Education Trust has overall responsibility for the health, safety and welfare of staff and students and others affected by its activities in the Academy. Nova Education Trust recognises that decisions about workplace health and safety should take account of the views and priorities of the workforce as well as the management. In order to fulfill its monitoring role, and to initiate and review health and safety policies and procedures, a safety committee will be established which will make recommendations on changes and improvements. The safety committee meet termly. Please see linked document to download a copy of our Health & Safety Policy. Nova Education Trust recognises its responsibility to provide adequate first aid provision as required under H&S regulations and DfE guidance. It will ensure that suitable arrangements are in place to comply with regulatory requirements relating to employees who are working for the Trust and students who are under the care of Trust employees or on Trust property. Please see linked document to download a copy of our First Aid Policy. Our complaints policy covers complaints made by pupils, parents or other external stakeholders. There are however separate appeals procedures for a parent dissatisfied with a decision regarding either the admission or the exclusion of their child and for appeals against the grade awarded to their child in an external examination. Nova Education Trust has separate procedures for dealing with staff complaints. These include the Grievance procedure for a complaint by an employee about the academy, the Harassment procedure for an employee complaining of bullying or intimidation, the Staff disciplinary procedure for an employee complaining about the conduct of another member of staff, the Statement of procedures for dealing with allegations of abuse against staff and the Confidential reporting/whistle blowing procedure for an allegation made in the public interest. Please see linked document to download a copy of our Complaints Policy. Please see linked document to download a copy of our SEND Policy. Our publication scheme commits schools within Nova Education Trust to make information available to the public as part of its normal business activities. Please see the linked document for further information. The Nova Education Trust Board of Directors recognise that as a result of the 1996 Education Act there is no statutory requirement to charge for any form of education or related activity and that charging is prohibited except in certain circumstances at the discretion of the Trust Board. The policy reflects DfE legislation and is subject to amendment in line with national guidance. Please see linked document to download a copy of our Charging & Remission Policy. At NUSA six out of every ten pupils are eligible for the pupil premium, which is about four times the national average. The challenge laid down to all schools and academies is to provide additional support for these pupils to help them overcome the barriers they face, and hence help them to secure the same level of attainment as their more socio-economically advantaged peers. Please see the attached PDF document for further information. The Catch Up Premium is additional funding given to schools to provide additional support to those Year 7 pupils that did not reach the ‘expected standard’ in reading or maths at the end of Year 6. For pupils who joined NUSA in September 2015, this means those pupils that did not secure a level 4 or better in their KS2 reading and/or maths SATs. NUSA received £500 for each of the 34 pupils deemed to be eligible for the catch up premium in 2015-16, which gave a total of £17,000. Please see attached PDF for further information. 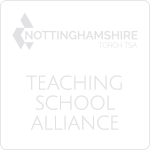 NUSA is committed to providing an environment that enables full curriculum access that values and includes all pupils, staff, parents and visitors regardless of their education, physical, sensory, social, spiritual, emotional and cultural needs. We are committed to taking positive action in the spirit of the Equality Act 2010 with regard to disability and to developing a culture of inclusion, support and awareness within the academy. Further information is available to download via the linked document. • Encourages each and every person to contribute fully on an equal basis. Please see the attached PDF for information. Further information about our governance arrangements can be found in the trust's scheme of delegation which is provided as a linked document. Information is contained within the Governors Register of Business Interests.